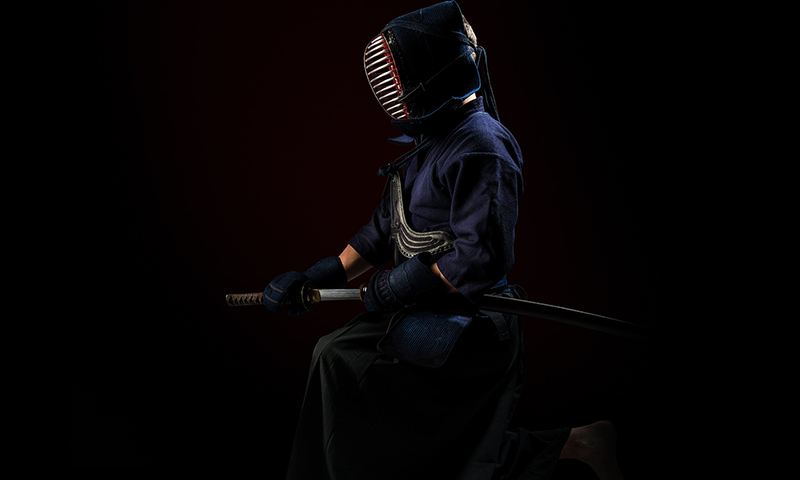 Kendo was born in the mid Edo period as a martial art using the shinai and protective equipment, and continues to this day earning as much popularity as to host international competitions. 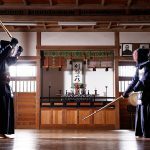 There is another martial art involving the sword called iaido, and in thi edition I would like to introduce the history and the present situation of iaido, and some similarities between iaido and kendo. “Iai” in martial arts refers to either pulling out your sword quickly to strike your opponent from a sitting position with the sword in the sheath, or to avoid your opponent’s strike and go on a counter strike. For this reason, even now some schools keep the sitting position as the basic position, and in the opening (tachi-ai) you stand up while pull the sword out. In iaido, practitioners aim to master this martial art technique as well as develop their character. 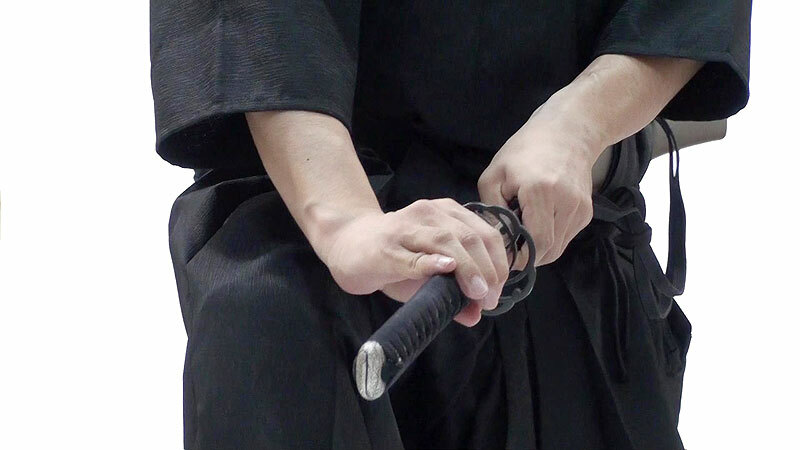 The history of iaido goes further back than kendo, which began in the mid Edo period, up to around the end of the Sengoku (civil war) period and the beginning of the Edo period. 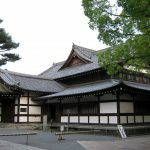 During this time, the workplace of the samurai class changed from the battle field to inside the castle or in the city where the common people lived. This means that most of the time they had their swords tucked in the sheath, which lead to the pursuit of the skills related to “iai” and to pulling out the sword becoming increasingly important. A master swordsman named Hashizaki Jinsuke is said to have begun the oldest school of iai, and schools majoring on iai began to spread across the country. But the Japanese sword was banned by the new government after the Meiji Restoration, causing iaido to have to fight for survival. Kendo received wide recognition in the Seinan War where a sword-drawing unit played a key role, prompting the government to spread it actively. But iaido, which uses the Japanese sword, was never incorporated in kendo and only survived in the local schools. But after the Meiji Restoration the new government confiscated the Japanese swords, and iaido faced a tough fight for survival. 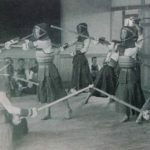 Kendo received recognition through the Seinan War, as the “sword-drawing unit” played a key role in the victory and the government began promoting kendo actively. But iaido, which used the Japanese sword, was never incorporated into kendo and was only passed on in the local schools. Amid such circumstances, the Dai Nippon Butokukai was formed in 1895 and iaido began to be promoted alongside other martial arts. They set up a system where skillful practitioners would receive titles, and iaido was able to continue. After the defeat in the Pacific War, the Dai Nippon Butokukai was dissolved and many Japanese swords were confiscated. Even after the occupation ended and the All Nippon Kendo Association was formed, iaido was not included in that. In 1954 several people gathered around Kono Hyakuren, 20th generation successor of the Muso Chokuden Eishin School, to set up the All Nippon Iaido Association. Until then, iaido was actually called “iai-jutsu”, and only from hereon it was called iaido. Now, other than the All Nippon Iaido Association, there is also the Dai Nippon Iaido Association, the Nippon Iaido Assication, and the National Iaido Association. Each group has its own exhibition events and grade level examinations. 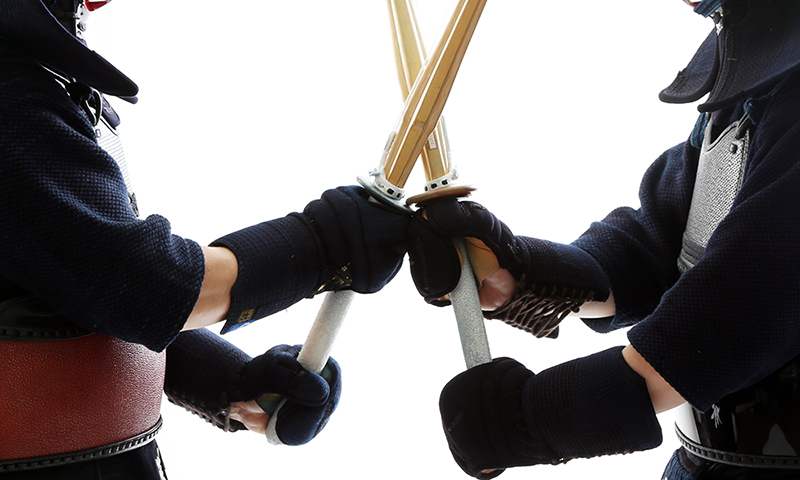 Iaido holds matches too, but unlike kendo, there is no striking each other. In each grade level, players perform the regulated moves of the association or the specialized moves of their school, and they win based on the number of flags raised by the umpire. In some groups, at the higher levels there are not many players and it is difficult to organize matches, so often it ends in just exhibitions. 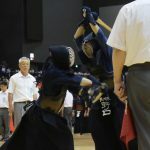 During matches, players mainly wear the dogi and the hakama. At the high grades, players often wear formal wear with the crest and the Sendaihira hakama. 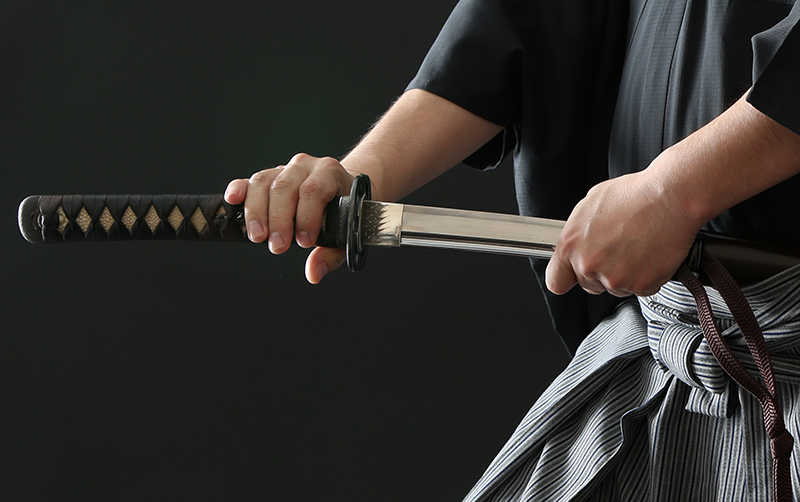 One characteristic of iaido is that at the top levels they often use true swords in their performances. For beginners and lower graders, and in all practices, they used the iai sword which is made specifically for iaido practice. Iai swords are Japanese swords that are not true swords. It is different from replica swords which are made for the purpose of appreciation. Iai swords are strong enough not to break during practice, and do not have much fancy decorations. In fact there is not much difference between iai swords and true swords, as iai swords meet the requirements in both shape and sword parts to be considered a Japanese sword. The only difference is that it does not have the blade end, which true swords have, that can cut. It still requires great caution in handling. The gutter is a special feature of the iai sword. The gutter makes the sword lighter without compromising its strength, and when players swing it it makes a nice wind sound. For this reason, may players use iai swords with gutters during matches. And unlike the shinai in kendo, the iai sword has no regulations regarding size. The ideal length and weight differs depending on the school you belong to, the gender, age, and physical build, so most players order custom made swords. 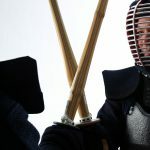 Historically, although kendo and iaido are both sports that compete using swords, the daily practices and matches have many differing points. Kendo is about facing the opponent and striking each other, but iaido aims for beauty and perfection in form. This is the biggest difference. Yet the two have some similarities. Both are “do”, or “ways”. Kendo was called “kenjutsu” and iaido “iaijutsu” in the past. Judo was called “jujutsu”, and kyudo “kyujutsu”. It seems like it is a simply change where “jutsu” changed to “do”, but that is not all. Originally, kenjutsu and iaijutsu developed as ways to kill others. Collectively, all the “bujustu” (martial skills) were aimed to kill the opponent. But as the Edo period ended, old values were replaced with new ones. Rather than focusing on “jutsu” (skills) to overcome your opponent, these changed to “do” (ways) where practitioners focused not only on acquisition of skills and winning, but character building through practicing skills and engaging in matches. The kanji for “do” 道 is made up of a “neck” and a radical that signifies coming and going. The kanji for “do” implies reaching a certain level after going back and forth repeatedly. On the surface iaido and kendo seem like everything is different, but as a budo (martial art) they are both focused on improving your own character. 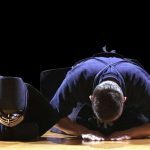 PREVIOUS POST Previous post: 3 Methods to Train Your Concentration in Kendo in Just 3 Minutes!